Aldar Properties, Abu Dhabi listed property development, investment and management company, continues to make strong progress across its portfolio of residential projects. 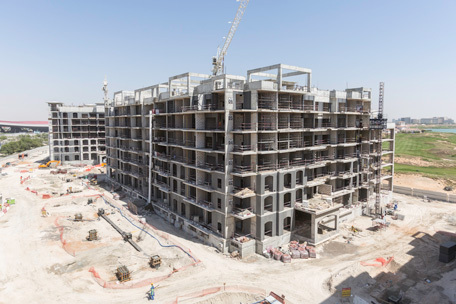 Residential construction activities continue to progress at West Yas, its first villa community on Yas Island, with piling, sewerage, utility, telecommunication and lighting work almost complete. The main school, to be operated by Aldar Academies, is currently in the process of being handed over. Following an evaluation by Urban Planning Council in May, the project was awarded with a two pearl rating, confirming its compliance with Estidama goals. The appointment of the main contractor for Shams Meera, mid-market development located in Abu Dhabi’s Reem Island; Nareel, a master planned island community and Al Merief, a community specifically designed for UAE nationals in Khalifa City, are all imminent. All authority approvals have been secured and the tendering process is in the evaluation stage. The development structure at Al Hadeel, the latest residential community to complement Al Raha Beach’s suite of existing luxury residences and at Ansam, an Andalusian style apartment development on the West side of Yas Island, are now complete, with MEP and internal block works ongoing. Al Jimi Mall, Al Ain’s shopping and entertainment destination attracting 8 million visitors annually, is in the process of a significant expansion programme to add a further 65 stores, including a 10-screen cinema, and a retail park to the existing 94 outlets, bringing the total leasable area to 75,000 square metres. Civil and MEP works have commenced and remain on schedule whilst shoring, excavation and structural works are progressing well across the construction site. Abu Dhabi Plaza is on track for delivery during Q1 2017. An integrated large mixed use iconic development of the circa 500,000sqm located in Astana, the capital of Kazakhstan, the development includes residential apartments, commercial offices, a 26,000sqm retail mall an hotel, and a serviced apartment building. Progress is being made on the structural work across towers within the development and with MEP, block work, cladding and interior work all underway across the hotel and serviced apartment blocks.